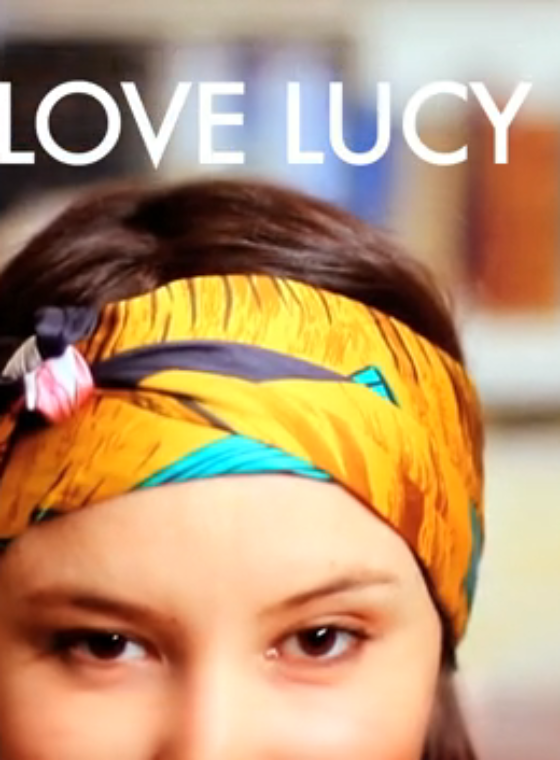 We’ve recently received several requests for a turban DIY and so, your wish is our command . . .
Once you’ve twisted the ends twice into a knot, bring both sides together to the back of your head and tie it tight. Tuck all your loose ends under the back and front of the turban. 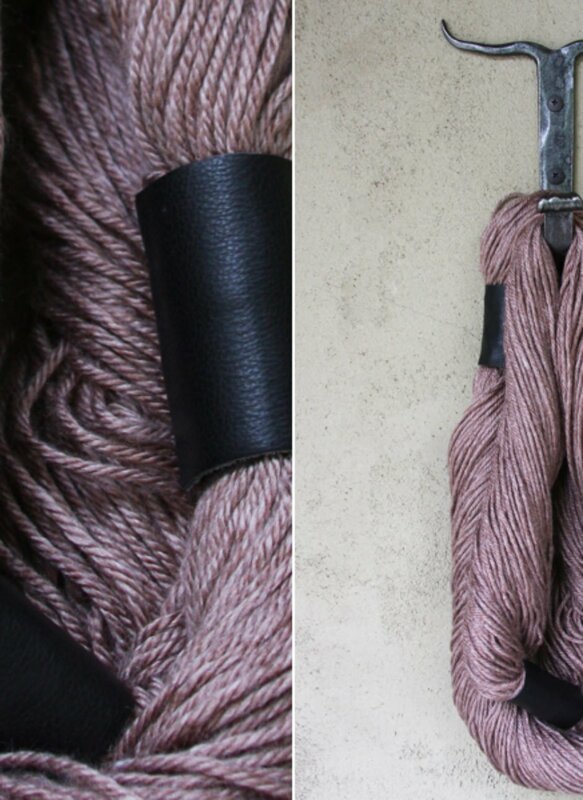 Voila, you’ve just made a turban! 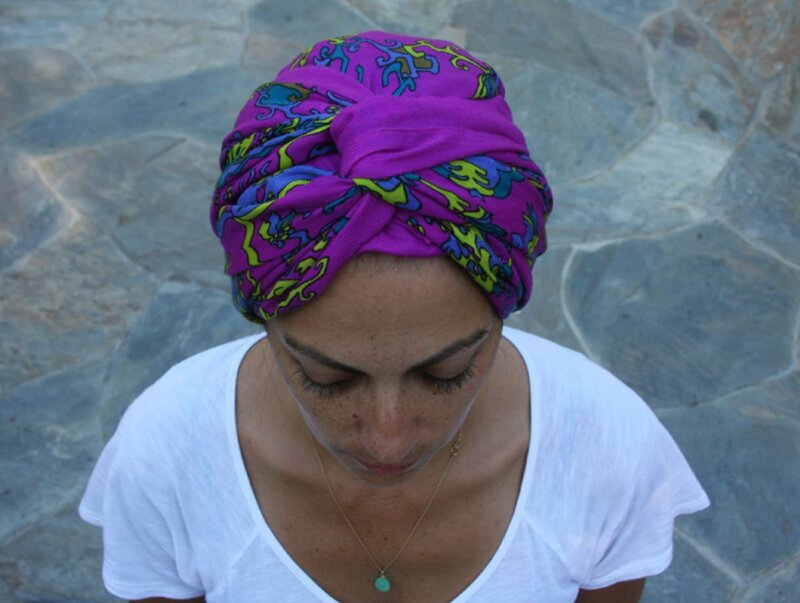 You can also create a turban-like headband using a rectangular scarf by repeating the same steps without covering all of your hair. Don’t forget the double twist and happy wrapping! LOOOVE IT! Good work ladies. Have re-blogged. LOVE LOVE LOVE! and what a pretty girl. Turban is cool… model is gorgeous! i have to admit that i would have never initially been inspired to wear a turban if it weren’t for this post. the fact that i haven’t washed my hair in a couple days (oops!) coupled with my over abundance of pretty scarves made the leap pretty easy though and i have to say, I AM IN LOVE! thanks!thanks!thanks so much for the continuing spot on tips, trends, and inspiration! 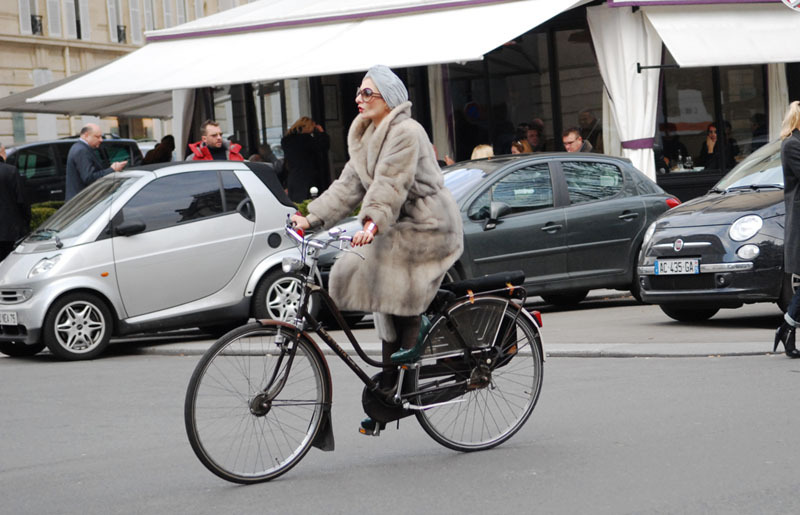 woman in fur on bike. love her. need her in my life! I do love turbans! All type:) and I wear them all the time. I have recently been wearing a turban and everyone looked at me funny but I think it´s an awesome way to cover a badhairday. 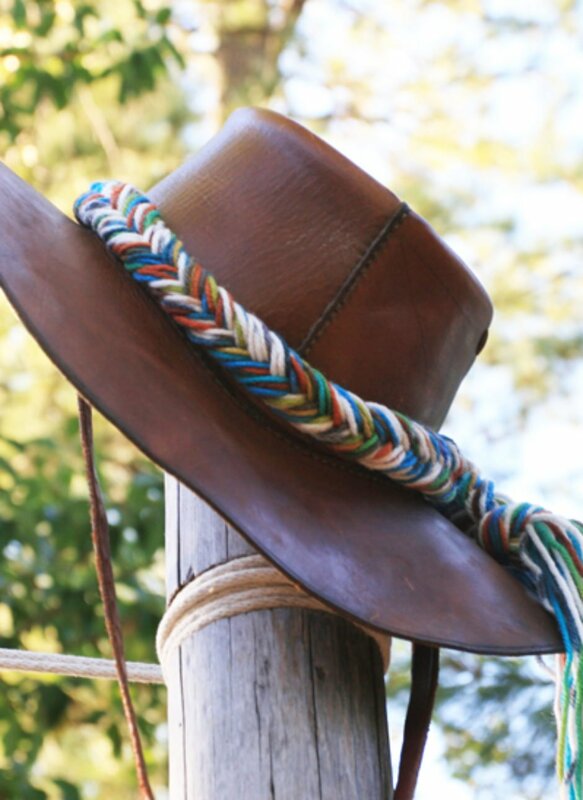 :) I think I´ll try your way of putting it on soon. I love the scarf you’ve used to in your demonstration! Do you know a place were I might be able to find it? The color looks so good with the model’s suntanned skin! I was just wondering what size of scarf you used? I have a few square scarfs but none of them are big enough to twist in the front and tie in the back. wow! i love the return of the turban for women, it was one of the most iconic pieces of women’s fashion in the 30s and 40s, but it just disappeared. Like many things, i think a turban renaissance is upon us haha! I’m a Sikh guy, and i wear a turban because of my religion…but my religion is just one part of it, i think it just looks so good and different! i just wish i lived in a place which was more accepting of it…fyi, never move to edmonton, canada lol. Love love love! By the way, where is your necklace from?? It is so pretty and I’m looking for one like it! 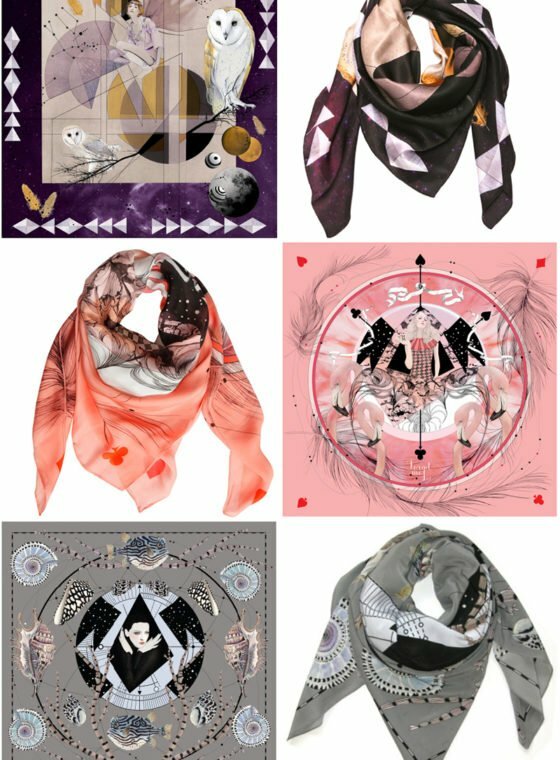 I was wondering what are the dimensions of the scarf and what is the best type of fabric to use for such a scarf. I, too, have always wanted to wear something like this. Thank you for posting the instructions. Don’t know if it’d work my my long hair, but I want to try the headband version. LOVE! I love this! I am an American Muslim and I am always looking for new and fun ways to cover my hair. Love that this could become a trend because I have always thought turbans look so elegant on women…and men, too! I would have never tried this if it weren’t for this post. I tried it out, but I let my hair completely down, and it looks fantastic! People have been complimenting me a lot, because it’s unusual, jet great. I’M IN LOVE! Great Tutorial. Always have a hard trying to tie a turban. Can’t wait to try it. Like the others you have not answered what size is the cloth you used ? Please answer. @Vampy, this is an old post and unfortunately, I no longer have the scarf but any large square scarf will do. I would say anything from 70-80 inches.